The people in Nichole Fowler’s life knew she would be a teacher even though she resisted. Fowler said she likes to tell people what to do and show them how to do things correctly, so they thought she would be a great teacher. She had different plans, however. Fowler originally wanted to be a lawyer. 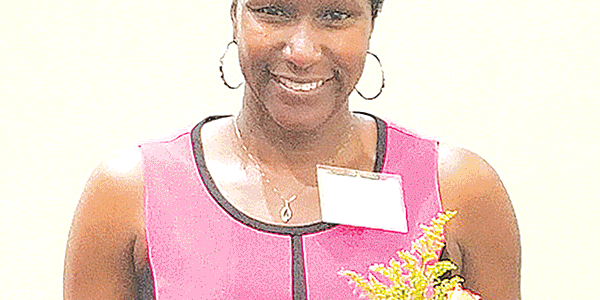 She received her undergraduate degree in math from Virginia State University and a master’s degree in secondary education from Grand Canyon University. Fowler has been teaching for 16 years. She spent eight years at Monacan High School and currently teaches math at Matoaca High, where she is also the co-department chair. Fowler has a traditional teaching style and believes in giving homework because she wants students to practice so she knows they understand what they’ve been taught. Fowler shared a story about a former student who went from struggling as a freshman to receiving a math award her senior year. Last spring, Fowler was named Matoaca High’s Teacher of the Year. “It’s something that teachers look forward to. Not too many teachers actually achieve that in their teaching career, so for myself to have done that, I feel very honored,” she said. Former students sometimes return to visit her, and some found her on social media and asked for help with math, which Fowler obliges with after-school lessons. Fowler said she enjoys working with students and plans on teaching for a long time..